Here’s Apron, my daughter’s favorite piggy. 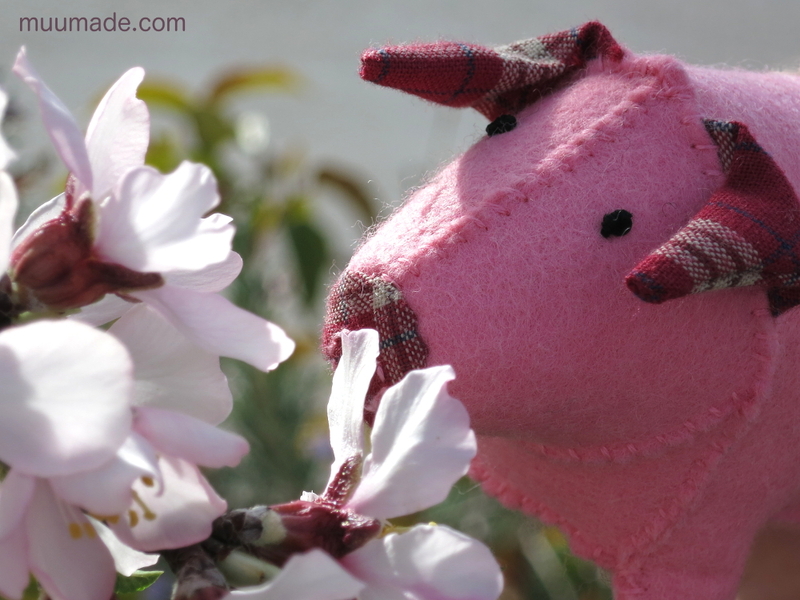 She chose this name because the fabric that I used for its ears, nose and tail, which is a leftover from an apron that I made for her. 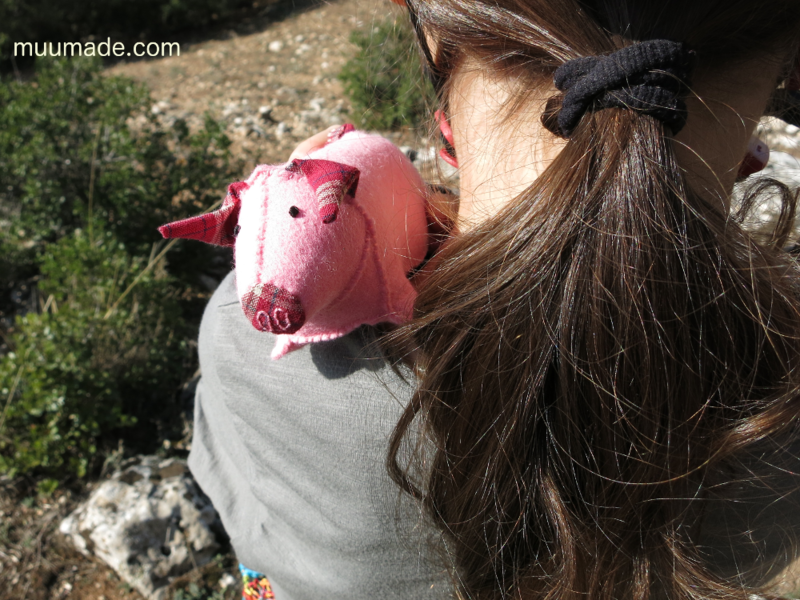 This pig is small enough to sneak into a child’s backpack for any adventures! 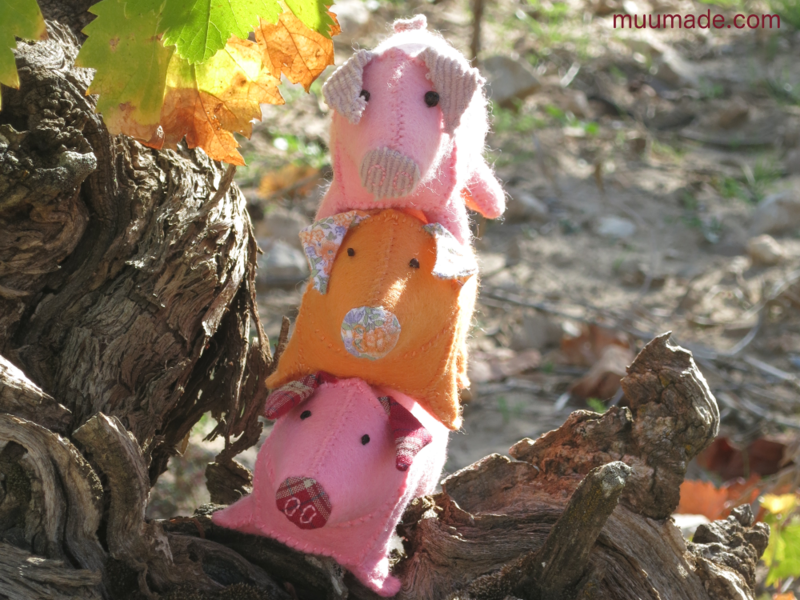 Wouldn’t you love it if you spotted three little pigs one piggyback on top of one another? These pigs are so playfully cute that they will bring a smile to your face.